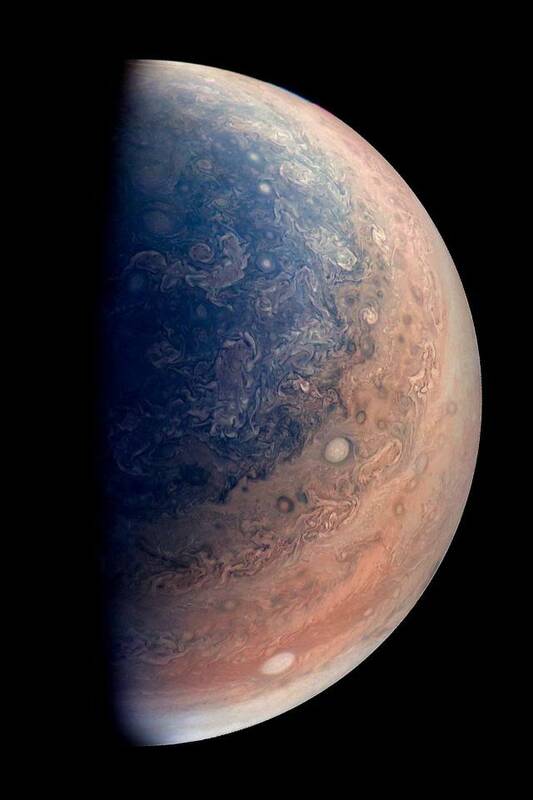 This striking view of Jupiter's south pole was taken by Juno on May 19, then processed by two "citizen scientists" to bring out the photo's contrast and color. 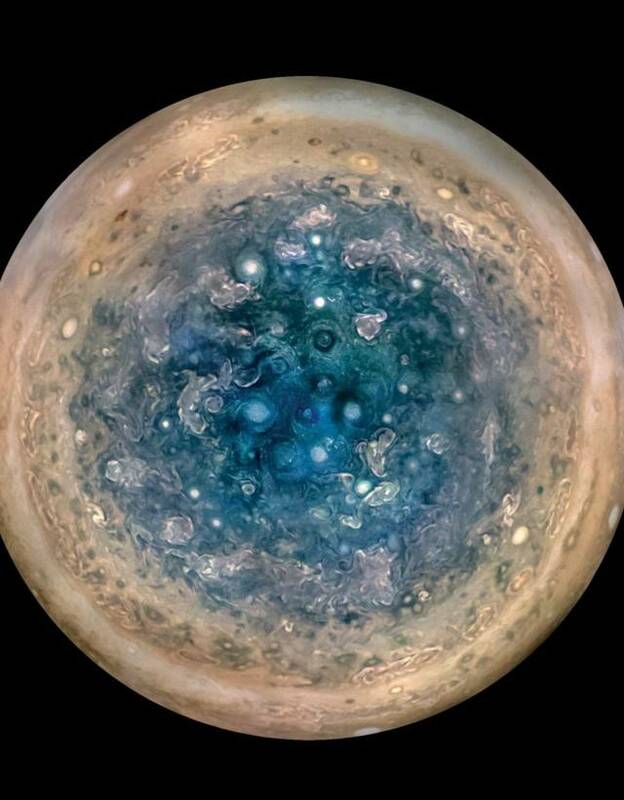 Another view of Jupiter's south pole makes the planet appear like a regal giant. 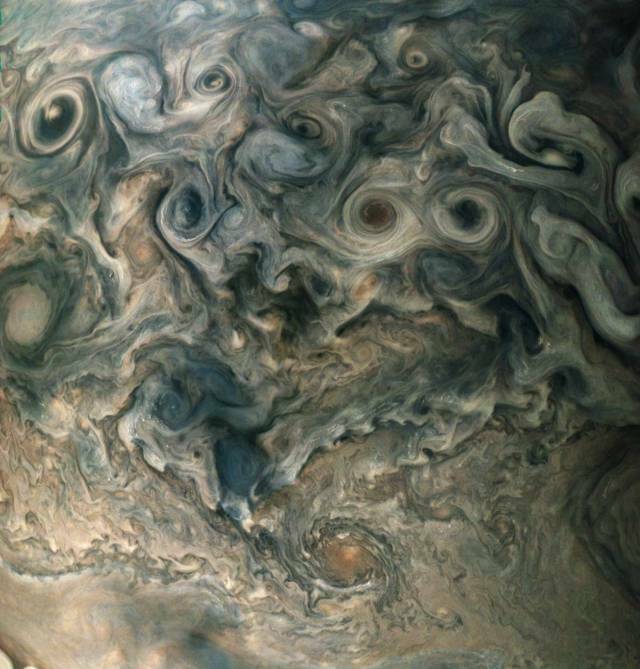 Juno fan Björn Jónsson removed Jupiter's hazy "global illumination" to reveal this maelstrom of stormy clouds. 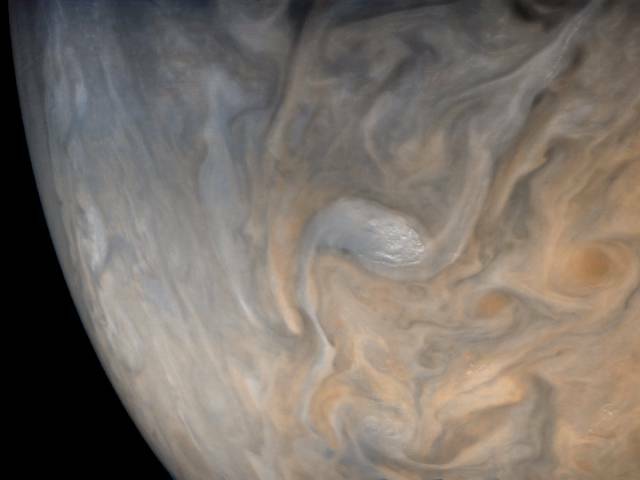 The center of this close-up image, taken on May 19, shows a white "anticyclone" in a swirl of storms within Jupiter's north temperate belt. This spot on the planet is called "STB Spectre" — NASA decided to take a picture of it after putting a variety of options up for a public vote. 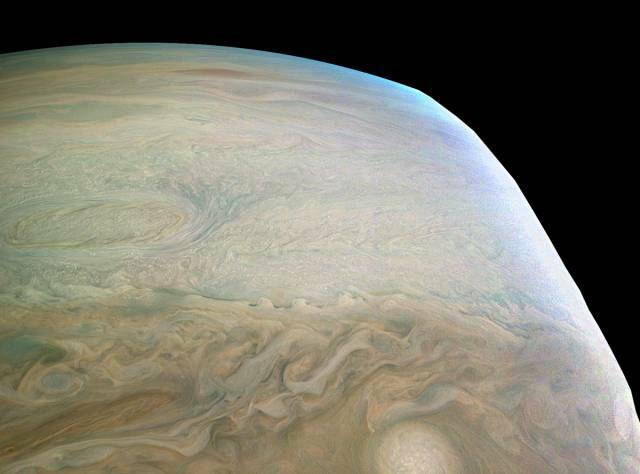 Juno took the photo during its fifth flyby. This is what part of Jupiter's cloud tops looked like on May 19, 2017, from roughly 7,800 miles away. 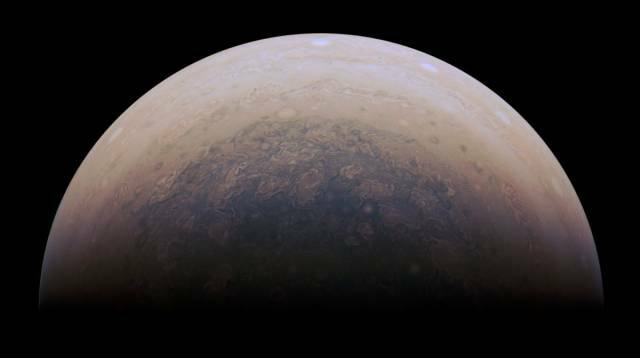 NASA titled this view of the gas giant's enigmatic south pole, captured on Dec. 11, 2016, "Approaching Jupiter". 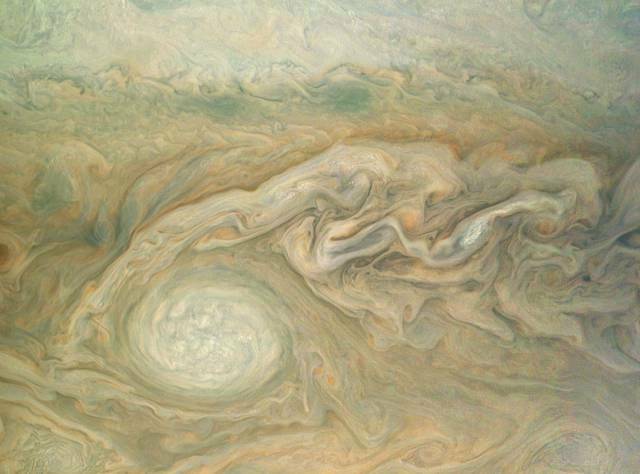 NASA calls this enormous storm Jupiter's "Little Red Spot" — even though it's the size of Earth. The photo was taken on Feb. 2, 2017. 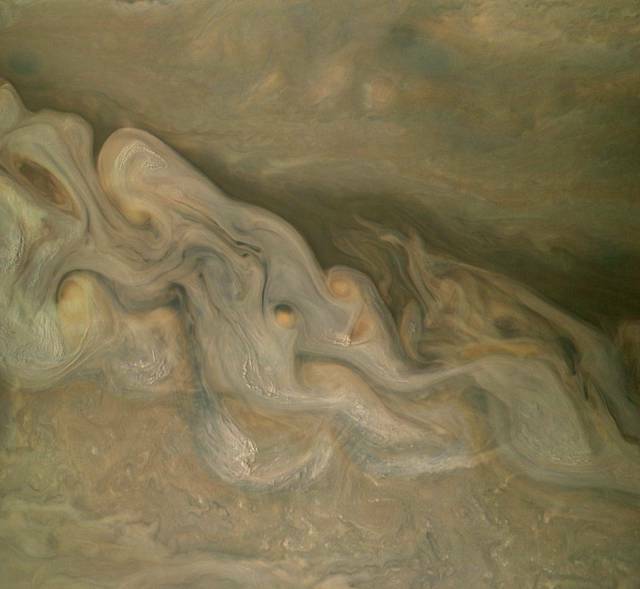 This is part of the Jupiter's "string of pearls" storm cloud. 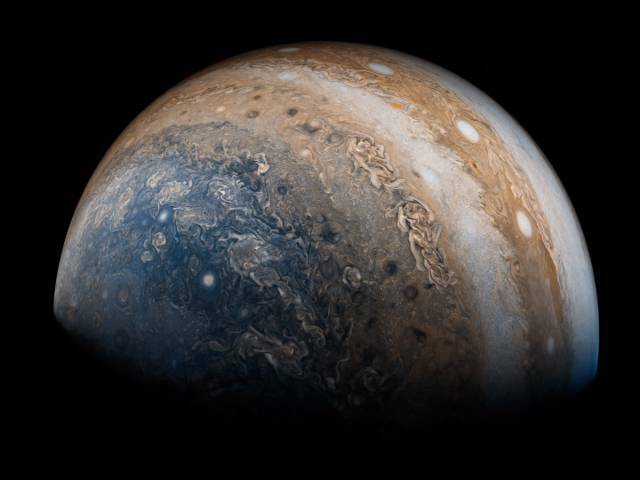 The image was taken during Juno's fifth flyby, on March 27, 2017, but was only recently processed by Kevin M. Gill. 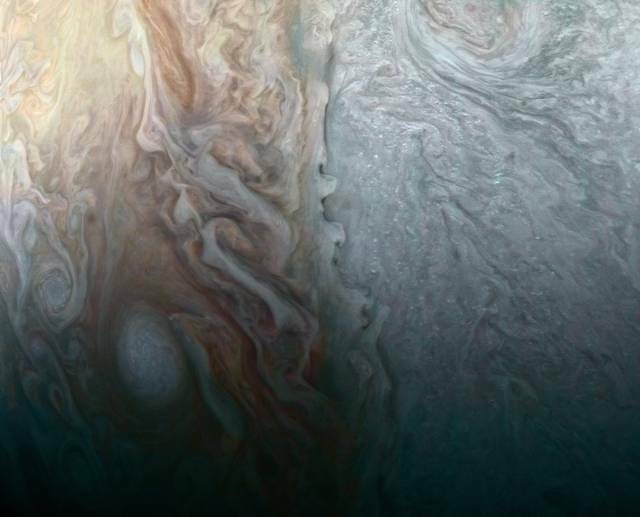 This one's called "The Edge of Jupiter", since it shows the reach of Juno's camera during its flybys (the black region to the right is the cutoff point). This image also shows the planet's limb, or edge (at the top), plus a number of fearsome-looking storms. Glancing-angle light from the sun makes this high-altitude chain of storms cast deep shadows on the cloud tops. It almost looks like an optical illusion. 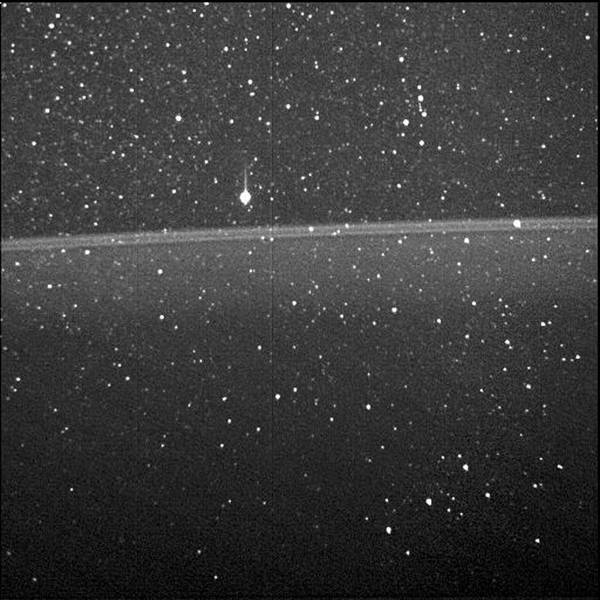 This image may not seem like much, but it's unprecedented: The faint line in the middle is Jupiter's rings of ice and dust. Behind it sits the constellation Orion. 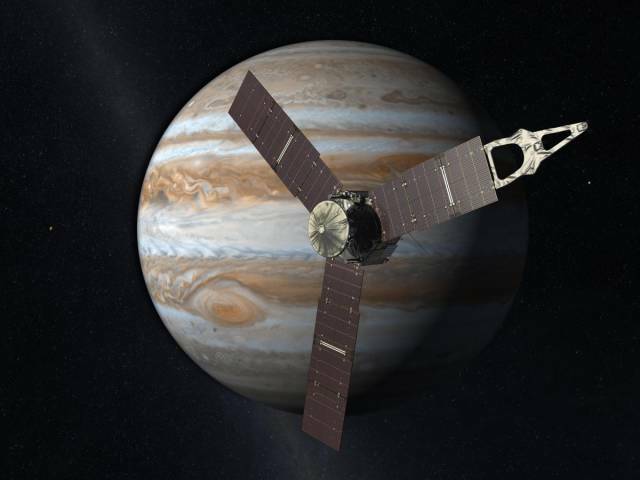 Juno's next flyby of Jupiter should happen around July 11, 2017. But Juno won't fly forever. 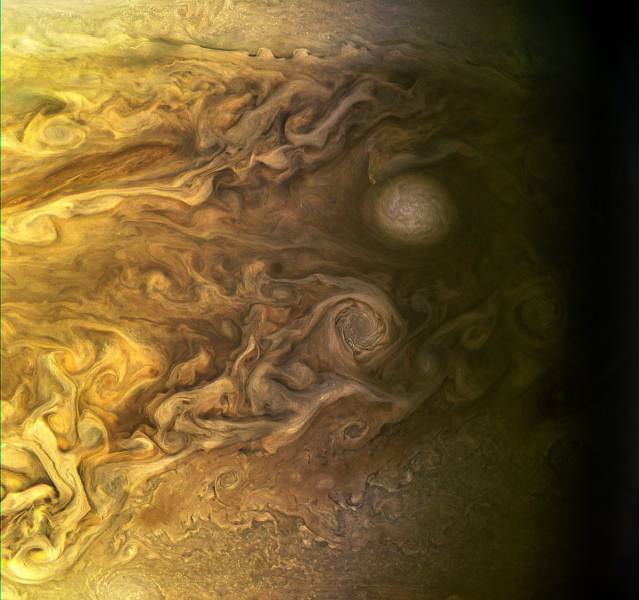 NASA will plunge the spacecraft into Jupiter's clouds in 2018 or 2019. 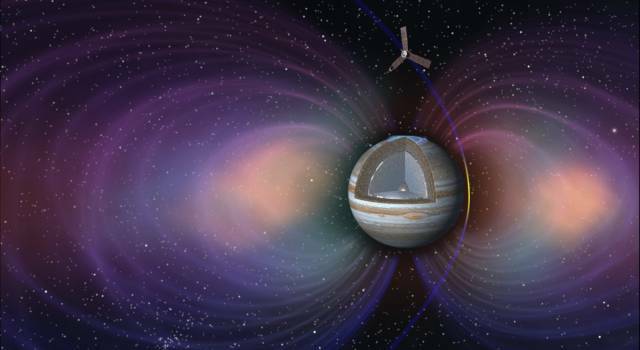 This will prevent the probe from spreading any bacteria from Earth to the gas giant's icy, ocean-filled moons like Europa and Ganymede.